You're a young Kickmaster, and your training has been going very well. But after you learn that your parents the King and Queen of Lowrel have been assassinated and your sister Silphee kidnapped, you must hurry home to defend the kingdom that now belongs to you. While your fighting skills are limited when you first start out, as you gain experience, you can learn new and more powerful moves that will make you an unstoppable force. You can also learn magic and use magical items that can mean the difference between victory and defeat. While you have the potential to become very powerful, the only question is, will you be able to save Princess Silphee before it's too late? 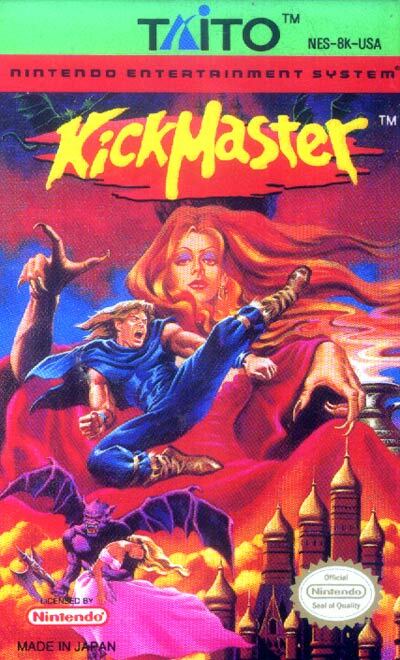 The fate of your kingdom is in your hands in KICKMASTER now go and earn it!